Plans are in high gear in United States for the biennial conference of the Jamaica Diaspora Northeast Region from June 15 to 16 in Boston. Under the theme: ‘Jamaica: The Pursuit of Fellowship and Prosperity – The Next 50 Years’, the event will address some key areas of concern for Jamaicans in the region as well as those at home. Topics for discussion include education, human rights, tourism and trade and investment. Chairman of the Northeast Diaspora Board, Patrick Beckford, said that as Jamaica celebrates its 50th year of Independence this year, “the region is committed to galvanizing the community to utilise the vast skill sets that the Diaspora possesses in the continued development of Jamaica”. He is calling on every Jamaican to attend the conference to discuss how best to channel their resources for nation building. The two-day conference kicks off on Friday, June 15 at 6:30 p.m., with a free reception and community event at Island Pride Function Hall, 986 Blue Hill Ave, Dorchester. Keynote speakers for the evening will be the New York Consul General, Herman LaMont and the newly appointed Honorary Consul in Boston, Desmond McKenzie, Esq. Mr. Lamont will be accompanied by staff members to address passport issues and other consular activities. On Saturday, June 16, which will be celebrated as Jamaica Diaspora Day, a plenary session is scheduled to take place at the Reggie Lewis Center. Minister of Foreign Affairs and Foreign Trade, Hon. A.J. Nicholson, is expected to deliver an address, and attendees can expect to be updated on the Jamaica Diaspora Bond. Conference organisers are hoping that the Minister will use the opportunity to underline the government’s commitment to the growth, involvement and engagement of the Diaspora. A senior representative of the US State Department will be part of a discussion panel on human rights issues. Advisory Board Member for the region, Irwin Clare, Sr., stated that “both from a government and community stand point, it is critical that at this juncture of our golden jubilee, we as a people stop the habit of finding excuses as to why we cannot be engaged and become more active, because it is only when we stand together as a community, that much will be achieved”. The conference is open to all Jamaicans in the US and information on the conference and registration details can be accessed at www.jamaicadiaspora.org or by calling 610-940-1716. Cost is $35 per person and $20 for students with identification. Prime Minister, the Most Hon. Portia Simpson Miller, said that the Government will be strengthening relations with the Diaspora and regional and international partners. Speaking in the 2012/13 Budget Debate in Gordon House on Tuesday (June 5), Mrs. Simpson Miller informed that an Inter-Ministerial Committee on Diaspora Affairs will be established, involving all relevant ministries and agencies of government. The committee, she said, will work “to ensure that the linkages are in place for fuller participation of our nationals living overseas”. She pointed out that the Jamaican Diaspora contributes “far more than family remittances” and “has the potential to increase investment in our economy”. The Prime Minister also advised that the administration will seek to contribute to the revitalization of the Caribbean Community (CARICOM), “to make it fulfill the promise, which the founding leaders envisaged”. “We strongly believe that CARICOM, working at its best, is an important instrument in the management of our relations (within) the (western) hemisphere and the wider world. This government’s foreign policy will be determined by what is best for Jamaica, what is best for the region, and what we consider to be best for the advancement of humanity,” she contended. Mrs. Simpson Miller said despite being a small nation, Jamaica will be making every effort to ensure that “our voice and presence continue to be heard and felt in positive and productive ways” in the global community. “We must see ourselves as making a contribution to peace, good order and sustainable development around the globe. We must play our part in advancing the welfare of the whole human race. There can be no doubt that since Jamaica’s interests – economic and otherwise – remain substantially tied-up with those of our traditional partners, a central pillar of our foreign policy must be the continued nurturing and strengthening of these relations,” she argued. To this end, Mrs. Simpson Miller, disclosed that in addition to the opening of embassies in Brazil and Kuwait, which took place earlier this year, plans are in place to enhance Jamaica’s presence on the African continent, through the accreditation of a special representative to the African Union. The Crisis of Being "Straight"
Once the video was posted on the festival’s website at www.rototomsunsplash.com, it went viral resulting in a mix of emotions and responses from some of Beenie’s fans and even a few colleagues who have spoken out against his ‘flip flopping’ on the issue. “This is our culture,” says one artist who didn’t want to be identified, why are they forcing us to accept their deviant behavior?” Shaking his head, he adds, “We are not advocating violence against anyone, but we should be allowed to live our life in the righteous way that we believe.” “Beenie Man did what he did for his career,” said another industry insider, “He knows he needs the money so he better apologize. Gays run the entertainment business. He better know that.” Such is the conversation taking place across Jamaica and America. Brooklyn, N.Y., April 24th… The Coalition to Preserve Reggae Music, Inc, has announced today that a panel of four distinguished women will discuss the economics of reggae music at the next Community Conversations forum scheduled for Monday, April 30th. The forum titled Reggaenomics 101--The Economics of Reggae Music takes place at 310 Bowery (between Bleeker and Houston Streets) from 6:30pm to 10:00pm and will be moderated by Sharon Gordon, chairperson of CPR. On the panel will be academic, Professor Loris Crawford of Monroe College, journalist, Patricia Meschino, of Billboard Biz, and business women Patrice Barnes, artist manager and president of Patrice Concepts and Michelle Athurton, president of E2 Records. The forum will examine the economic capacity of the reggae music industry as well as the economic contribution of the industry to Jamaica. London based, Kennedy Mensah who specializes in artist royalties will also participate in the forum via SKYPE as a commentator. Panelists and commentators will take questions from the audience in what promises to be a far reaching discussion of the economics of reggae music. CPR strives to increase understanding of Reggae’s development, its significance to the social, economic and political development of Jamaica and its influence around the world. Its mission is to raise the bar in the creation, development, promotion and presentation of reggae; to elevate the profile of its purveyors and to research, codify, curate and disseminate information about the genre. 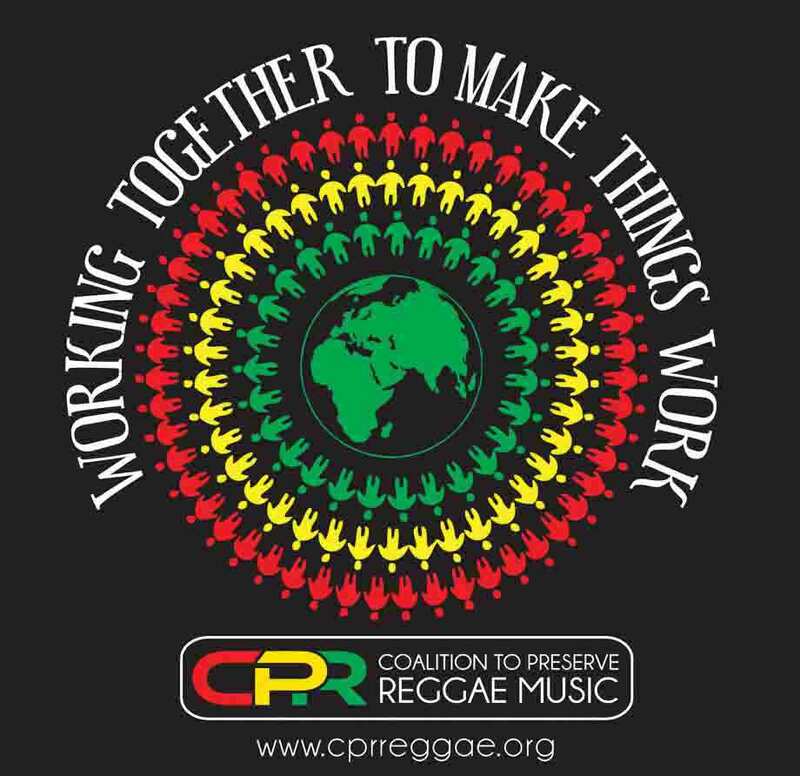 The Coalition to Preserve Reggae Music (CPR) is a charitable organization working to raise the bar in the creation, development, promotion and presentation of reggae music. CPR conducts educational forums, presents music events, broadcast progressive programming via CPRLive on www.cprreggae.org and conducts research to codify, curate and disseminate information about reggae music. Psychologists for Social Responsibility (PsySR) joins other human rights groups in calling for further investigation into the death of Trayvon Martin in Sanford, Florida on February 26, 2012. George Zimmerman, the man who admits to killing Trayvon, remains free almost one month later. We believe the death of Trayvon has not been thoroughly investigated, denying Trayvon's family, the community of Sanford and indeed our entire society a sense of true justice. As an organization of psychologists and other mental health professionals we are concerned about the loss Trayvon's family and community are enduring and the ways in which the justice system is failing them. We believe the death of Trayvon and the reactions of the Sanford Police Department to this killing have broad psychosocial impacts because they exemplify the terror and trauma that racism inflicts on many Americans today. According to the FBI, the single largest motivator (nearly 50%) of hate crimes in the United States is racial bias, with anti-black bias accounting for 70% of those offenses (http://www.fbi.gov/news/pressrel/press-releases/fbi-releases-2010-hate-crime-statistics). On the 911 calls from February 26, 2012 we hear Zimmerman criminalizing Trayvon as a "black" man. These recordings reveal how racism may have played a role in Zimmerman's later actions, motivating Zimmerman to use deadly force despite orders from the 911 police to stand down. The Sanford police have so far failed to arrest Zimmerman, who claims he shot Trayvon in self-defense, despite evidence in the public domain that Zimmerman pursued Trayvon. The media also reports that other African American crime victims have felt betrayed by the Sanford police, who have been slow to press criminal charges in the past when victims are people of color. It is no wonder that public outrage includes the accusation that racism has been normalized and institutionalized in the Sanford Police Department. The combined effects of this tragic killing and the failure of the justice system to act swiftly allows for questions regarding the permissibility of violence in our culture. The permission to stalk another human and kill that person because of "suspicions" based, at least in part, on the person's race leaves a chilling effect on those of us who are concerned with human rights for all. Anthony Marsella, past director of the World Health Organization Psychiatric Research Center and past president of PsySR, says, "If there is any meaning to come from the killing of yet one more Black man, one more repetition of a killing that has crossed centuries and place, let it be that this evil is confronted in all its forms across our land." It is time for national dialog on the lingering persistence of racism. We urge you to ensure a thorough investigation into the killing of Trayvon Martin by George Zimmerman. At this point in time, we remain unconvinced that justice has been served, that Trayvon's death was in any way justified, and that racism was not a factor in Trayvon's death. King Stitt was and is my friend, teacher and mentor and I say this because like his soul, his musical contribution will never ever die but will always be present to remind and inspire us who love the music that Africans in Jamaica produced. Winston Sparks is the name on his birth certificate but the name King Stitt is the one that is known internationally. I remember being a youth attending dances in Spanish Town where King Stitt played Sir Coxson sound. His ability to galvanise the adoring crowds with lyrics as he selected and operated the sound system was unrivalled; he was a master of selection and in any sound clash he was devastating. He knew the records or wax, later called dubplates to ‘draw’ and when to draw or play them. His introduction of what he was about to play each time was peerless. Count Machukie who recruited and trained King Stitt was of course an inspiration and mentor for me as well. It was at a dance in Central Kingston that Count Machukie, who was playing Sir Coxson's sound saw Stitt who was a legsman, dancing brilliantly to the tunes he was playing and asked Stitt if he wanted to be a deejay. Stitt told the Count that he did not know about being a deejay and Count told him that by the way he was dancing to the music, he was sure he would make an excellent deejay and that he the Count would teach him. The rest is history. Over the years King Stitt promoted with Sir Coxson's sound music all over Jamaica. I recall a dance at Pieceaman Lawn on the Old Harbour Road in Spanish Town in 1967 when Sir Coxson’s (Owned by Clement “Sir Coxon” Dodd) with King Stitt deejaying, clashed with Stereo (owned by Seymour Williams, the genius sound builder from Spanish Town), with Prince Mango deejaying for Stereo. Stereo was the heavier and cleaner sound by far but Coxson’s had the music and that night King Stitt unleashed numerous brand new biscuits as he called the waxes to counteract Stereo's majestic sound excellence that Stitt gracefully admitted to. That was the night Ernest Wilson of the Clarendonians had his first solo, Undying Love played exclusively on wax of course; that was the night Sitting on The Dock of The Bay by The Heptones was first played exclusively on wax… new tunes like sand and guess what? King Stitt and Prince Mango never ever cursed any bad words, unlike the hurry come down and idiot deejays of now who delight in using bad words and dirtying down the music. King Stitt was the first deejay to popularise deejaying on records with tunes like Fire Corner, Vigorton 2 and Herbman Shuffle etc yet he has not been given an OD by the authorities in Jamaica for his priceless contributions to Jamaican music nationally and internationally. Neither have Count Machukie or Duke Vin, aka Shine Shoes Vinnie who played Tom the Great Sebastian Sound. Incidentally, it was Vinnie who gave Machukie the chance to be a deejay and who started the first sound in Britain in 1955. On merit, these three pioneers must be honoured. Artists who began their careers in the 1980's, long after have been given ODs because of political favouritism and corruption. King Stitt, you will always be my beloved friend, elder brother, adviser, mentor and teacher. Until we meet again in the next Sound Dimension with Sir D the greatest producer, long live the king – King Stitt. The Jamaica Progressive League celebrated Black History Month with their annual Cocktail Sip on Sunday, February 19 at the Elegant Rosehall on White Plains Road in the North East Bronx. The well attended event attracted many long time members and their families. The 76 year old organization which was formed on September 1936 came about as a result of Jamaicans living in the US being concerned and outraged by the injustices being meted out to masses of Jamaicans on the island. This group of progressives led by Rev. Ethelred Brown, W.A. Domingo and W. Adolf Roberts in the face of great opposition and danger to their lives forged ahead and formed the organization that would ultimately change the course of Jamaica’s history. The evening celebrated their work as visionaries along with those others who championed the way for Jamaica’s independence in 1962. Sadie Campbell, current President of the league, told those gathered that they should assist in lobbying the Jamaican government to ensure that these pioneers are honored as part the Golden Anniversary celebration of Jamaica’s 50th anniversary of Independence from Great Britain. The evening opened with Welcome remarks from 3 year old Dylan Campbell, followed by an awe inspiring dance by 7 year old Douglas Baldeo in tribute to Alvin Ailey’s Revelations. Also bringing greetings was Jose Richards, Vice President of the League, who spoke and quoted from Jamaican National Hero, Marcus Mosiah Garvey. Later, he read from “If We Must Die” by Claude McKay before breaking out in his unique rendition of the Johnny Ace classic, “Forever My Darling. Forensic social worker Carmeta Albrus –Lindo, founder of Family Unification and Resettlement Initiave (FURI) shared with the audience about her work with Jamaican deportees and the challenges of resettlement as well as the injustices of the US Penal System. Olympian Byron LaBeach, a member of the 1952 Gold Medal winning 4x400 relay team also spoke and advised of his upcoming book Legends of Jamaica Track and Field. Desmond Clarke of the Jamaica National Movement also brought greetings on behalf of his organization. Recognition was made of Mrs. Icy Bloomfield a long time member of the League and a community stalwart who has long been the person tasked with researching where the annual Independence Church Service occurs in New York City. It was jammed packed inside New York City’s Miss Lilly’s Variety on Thursday night, February 2nd. Just one day after celebrating the birthday of reggae icon, Dennis Brown, Mr. Vegas accompanied by guitarist, Tony Bone and two back up singers did not disappoint those who gathered on a cold night inside the cozy room at Miss Lilly’s to see and hear him in an acoustic performance of some of the tracks from his soon to be released album. The full length glass windows on the Manhattan location was sweating from the heat that was generated by Mr. Vegas and those in attendance for his exclusive Listening Party. In anticipation of the release of his double album SWEET JAMAICA, on his own independently owned MV Music imprint. Mr. Vegas and his team invited the media to experience an upclose and personal vibe as he took the time to explain his thoughts behind the project as well his thoughts about his homeland, sweet Jamaica as the island celebrates fifty years of independence from Britain. The album SWEET JAMAICA is set for release on February 21st right in time for Reggae Month and Black History Month and is already receiving “love” at radio with several of the singles including the title track Sweet Jamaica which features Josey Wales and Shaggy already in heavy rotation on radio stations in the Caribbean, North America and Europe. Reggae aficionado and long time editor for VIBE Magazine, Rob Kenner was the M.C. for the evening and did a stellar job of not only introducing Mr. Vegas but in also providing historical context for a several of the songs that were presented. For example, he was able to share the date and the name of the original artists of festival songs Sweet and Dandy and Take It Easy both of which Mr. Vegas performed. He also l informed Mr. Vegas and the audience that Jimmy Cliff performed on the very stage that Mr. Vegas was about to perform on, to which Mr. Vegas, responded, “I only hope I am able to stand in his shoe heel!” A very engaged Mr. Vegas told the audience this album was his way of paying tribute to his homeland and those pioneers who came before him. He was quite at home relating stories about his youth andwhat drives him to make the music that he has become so popularly known for as an international dancehall/reggae artist. Mr. Vegas hopes that 50 years from now, his music will still be playing very much the way, Alton Ellis, Dennis Brown, Bob Marley and so many others are still being embraced. He encouraged selectors to “play some of these foundation tunes in the dance, think outside the box.” SWEET JAMAICA is certainly poised to do just that with its fusion of Ska, Rocksteady and foundation reggae rhythms. Producers on the album include Sly and Robbie, Cleveland “Clevie” Brown, Wycliff “Steely” Johnson, Mikey Bennet and Rohan Dwyer all adding their touch to the 30 solid tracks that appear on both cd’s. There are no fillers on the album and Mr. Vegas reveals his versatility not only as a “singjay” but also as a bona fide singer. There is something for everyone on SWEET JAMAICA and music lovers will be pleasantly surprised at his treatment in his remake of Toot’s Hibberts, Sweet and Dandy, Hopeton Lewis’s Take It Easy and Alton Ellis’s classics You’ve Made Me So Very Happy and A Little Love That’s All I Want From You. His energetic delivery comes across in dancehall tracks like Bruk It Down and the street anthem, Certain Law. SWEET JAMAICA also includes a live version of his international hit, I Am Blessed. SWEET JAMAICA features a range of music from the early 1960’s through to today’s contemporary Dancehall sound. The album which was released on March 6th is a must have and will certainly become a collectors item. Clifford “Mr. Vegas” Smith has revealed his independence on SWEET JAMAICA. The album will be available in digital and retail outlets.